BikeSchool is a workshop by Swiss Cycling. BikeSchool motivates the children to make more use of their bikes on their way to school and in their leisure time. Through the transmitted skills, the children acquire more confidence on their bikes. 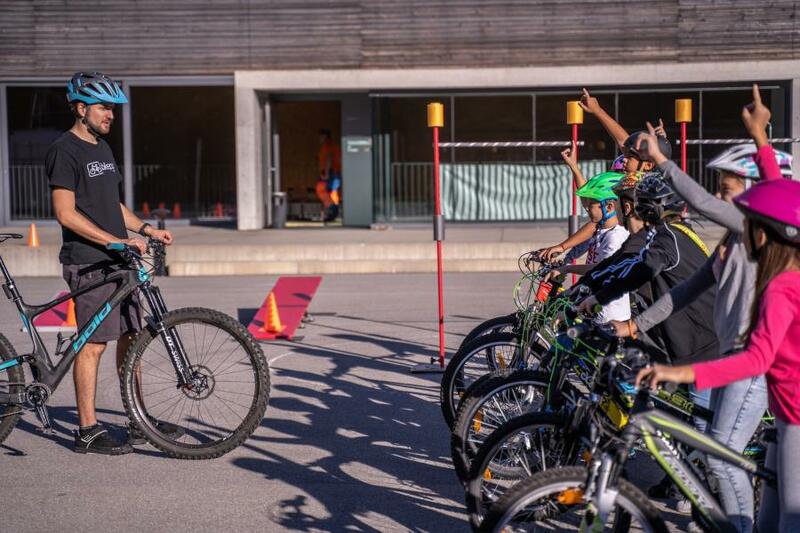 BikeSchool ist the ideal basic module to prepare for a bike class excursion or a bike theme week. Thanks to BikeSchool, the parents ar more likely to let their children go to school by bike. The positive and sustainable effect of bikecontrol has recently been confirmed in a study carried out by the Swiss Federal Institute of Sport.